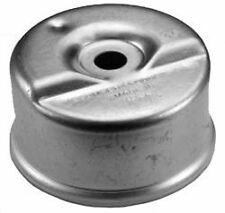 Four bolt mount (front holes 9-1/8" c/c and back holes 7-3/8" c/c 3-1/4" between rows). Overall size 18-1/2" x 16" x 9-3/4". Husqvarna Part # 588208701. 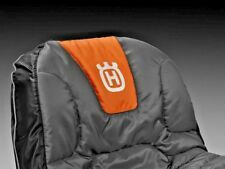 HUSQVARNA TRACTOR RIDING LAWN MOWER PROTECTIVE CUSHIONED PADDED 15" SEAT COVER. Protects and preserves your mower seat. 2 storage pockets in the back of the seat are great for tools and gear. Trending at $39.42eBay determines this price through a machine learned model of the product's sale prices within the last 90 days. I just want to get back what I paid for them. 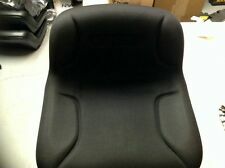 A lot of seats being sold are seconds or a grab bag deal, these are all first without defects. SEE BELOW FOR DETAILS. Height 15 1/2". Fits Model: Riding Mowers and Gators with up to 15' tall seats. Four convenient pockets keep tools and gear within reach, it features one zippered pocket and three gear pockets. Elastic cord in bottom hem for a custom fit. Universal Riding Mower Garden Tractor Deluxe Seat for John Deere, Gravely, MTD, National, Snapper, Toro, Yazoo, Gilson, Roper, Wheelhorse, Murray Black. Seat does not have provision for operators presence switch. 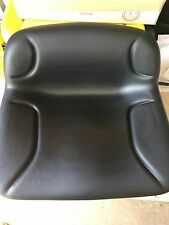 New John Deere Mower Seat Factory Second L100 L105 L107 L108 L110 Free Shipping! Should fit most L100, L105, L107, L108, L110, L111, L118, L120, L130, L135, L145. DOES NOT have John Deere sticker on back of seat. The Manufacturer’s Warranty policy will not cover any transportation costs associated with a warranty. Seat does not have provision for operators presence switch. This seat is water proof and fits many models! OEM #401042. CRAFTSMAN, POULAN, HUSQVARNA. CRAFTSMAN RIDING MOWERS. 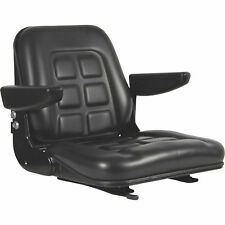 OEM -ULTRA COMFORT SEAT. HEAVY DUTY SEAT. MODEL NUMBERS ARE USUALLY FOUND UNDER THE SEAT OF YOUR MOWER. IF YOU ARE UNSURE OF THE PART NEEDED, OR NEED ASSISTANCE IN CHOOSING THE CORRECT PART. With the heavy duty coated weather protected fabric, it won't shrink or stretch. The fabric is coated for maximum water resistance and repellency for long lasting use. Cushioned for Comfort. Handy Tool and Gear Back Pockets. Cub Cadet Logo. Does not fit all Cub Cadets. I do not know what models this seat will fit. Velour (waterproof clothlike material). Black color. 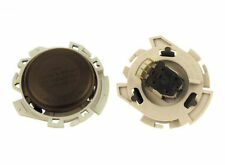 Should fit most L100, L105, L107, L108, L110, L111, L118, L120, L130, L135, L145. DOES NOT have John Deere sticker on back of seat. The local authorized dealer will perform a warranty inspection and submit their findings for claim approval and service. Briggs & Stratton 398188 Lawnmowers Needle Seat Kit. Condition is New. Shipped with USPS First Class Package. 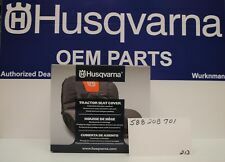 · Genuine Husqvarna Part # 588208701. 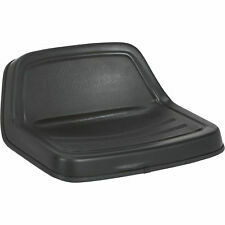 · Riding Lawn Mower Tractor Seat Cover. · Genuine OEM Husqvarna Product. 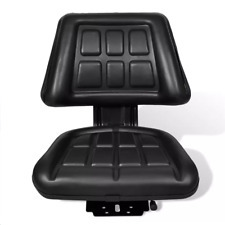 · Fits Most Lawn & Garden Tractor Seats with Backrests up to 15” High. · Cushion Quilting for Added Comfort. Black Talon universal folding bucket seat has back cushion that folds down for storage. : 19 x 21.25 x 18.5, Material: Vinyl, Mounting Bolt Pattern L x W (in.). Northern Tool Item# 17522. We reserve the right to correct ad errors and/or omissions. 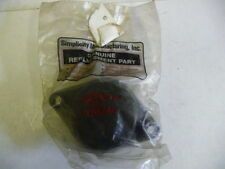 · Genuine Husqvarna Part # 582384601. · Fits 2009 & Newer RZ Series Zero Turns with 15” Mid-Back Seat. · Fits Most of Husqvarna LS Series Tractors (Not All). · Fits Most Models of Husqvarna YTH & LGT Series Tractors (Not All). 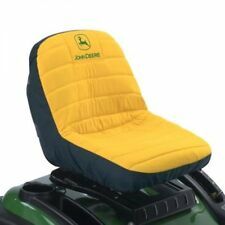 This is a seat cover that goes on any 11" or shorter seat on the following John Deere lawn mowers. any seat 11" or lower. It is padded and water resistant. We will make every reasonable effort to correct any problems with your order. CX GATOR (SN 040000>) / DIESEL GATOR (SN 02298>) / E-GATOR / TE GATOR /TH TURF GATOR. TRAIL 4x4 HPX GATOR / TX GATOR / TX TURF GATOR (SN 05001>) / XUV GATOR (850D DIESEL). 4x2 HPX GATOR (GAS & DIESEL) / 4x4 HPX GATOR (GAS & DIESEL) / 6x4 GATOR (SN020789>). Replace your seat on your Cub Cadet LTX series mower with the new model seat from Cub Cadet. 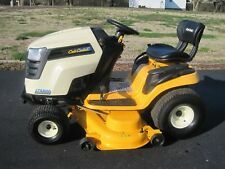 Cub Cadet Seat Tractor Riding Lawn Mower High Back. Just remove the seat you have on your mower now by removing the one retaining bolt and unplugging the safety switch. Briggs & Stratton 799177. Keep it Running - Keep it Genuine! You can find the right part you need including carburetors, air filters, spark plugs, tune-up kits and other engine repair parts. Get started now by searching for genuine repair parts and maintenance products for your engine or browsing maintenance products and accessories. Part # 428243. Husqvarna: 532428243. Sears / Craftsaman: 428243. Electrolux: 532428243. This seat is also compatible with select Sears, Craftsman, Poulon, and Husqvarna Riding Lawn Mowers. Weed Eater One: WE261. Our inventory is constantly updating, we do our best to keep it as accurate as possible. Once you place your order it can not be modified, changed, or canceled.